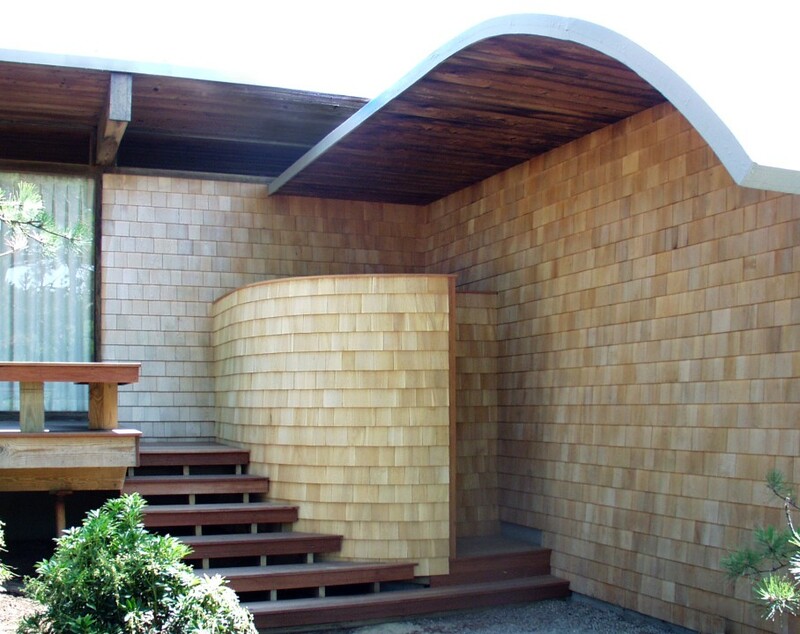 A single family house built by an architect in the 70’s with a wave form roof required a large addition to accommodate a guest apartment, a writing studio, a pottery studio and a garage. 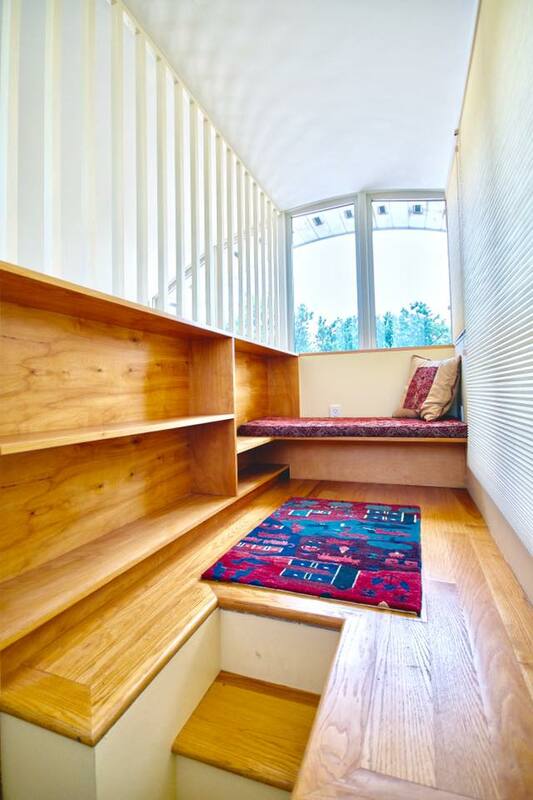 The new building is a contemporary interpretation of and a harmonious response to the original form and careful attention was made to creating a balanced composition of vertical and horizontal elements. 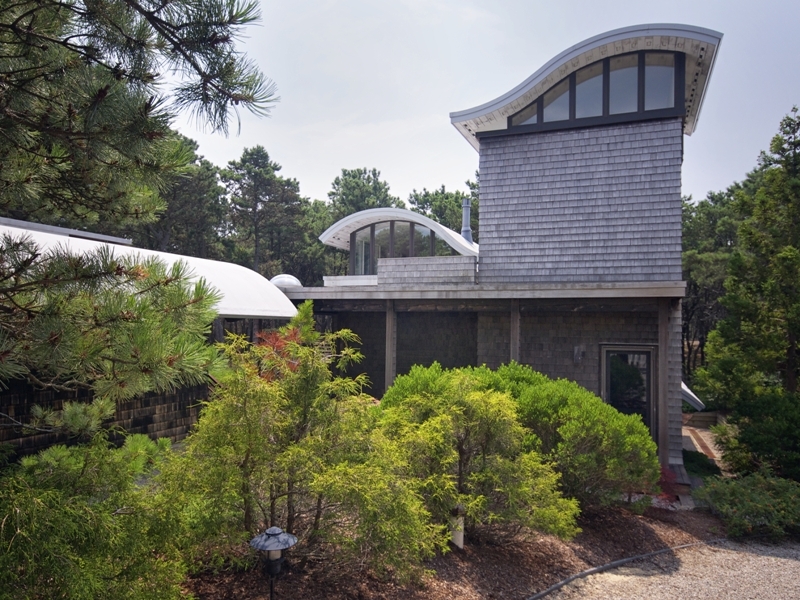 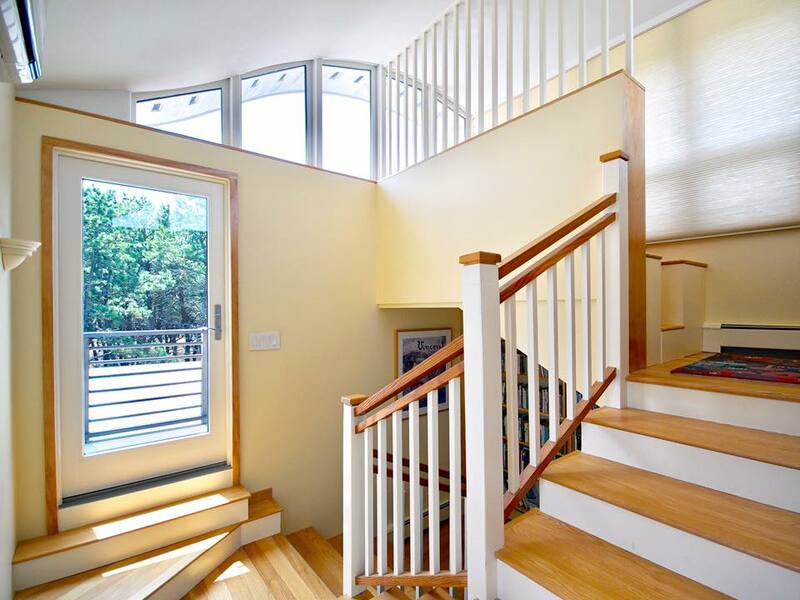 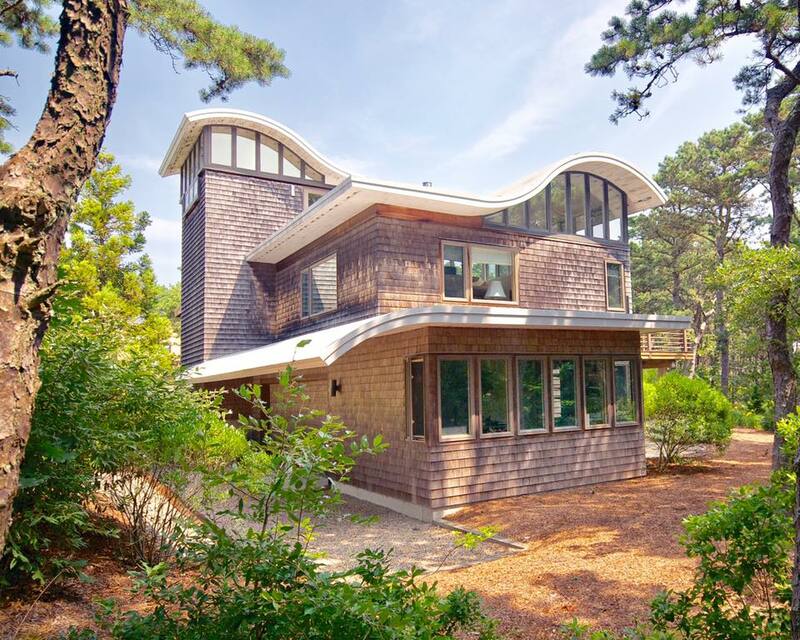 The studio/garage is connected to the main house with an open breezeway of shingled piers and a flat roof, punctuated with glass dome skylights revolves around a central stair tower that acts as a vertical library providing access to the writing studio and the guest apartment and culminates in a children’s reading loft and balcony with views of Cape Cod Bay in the distance. 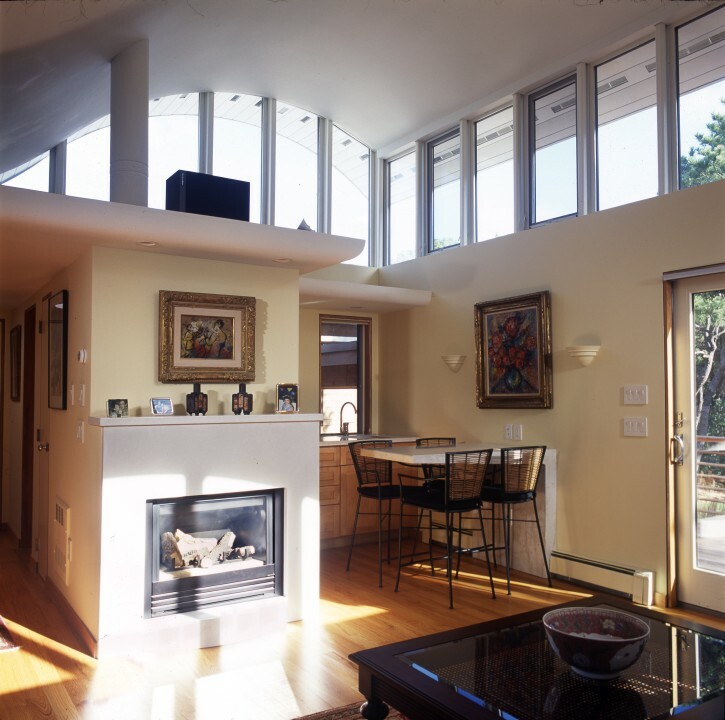 Continuous banding of glass at the top of the walls gives the visual impression of having the roofs float above the building and accentuates the dynamic form of the wave-like roofs.